Dash Cryptocurrency, Coinpedia, Bitnation and The Libertarian Community with CLE Ghana are set to Eliminate poverty in Northern Ghana. Northern Ghana is the poorest part of the country. Although there’s rich land in abundance, people cannot leverage their land to, for instance, borrow money for education, start businesses, or secure it for their children or spouses if something happens, because they have no land titles to prove the ownership of the land. 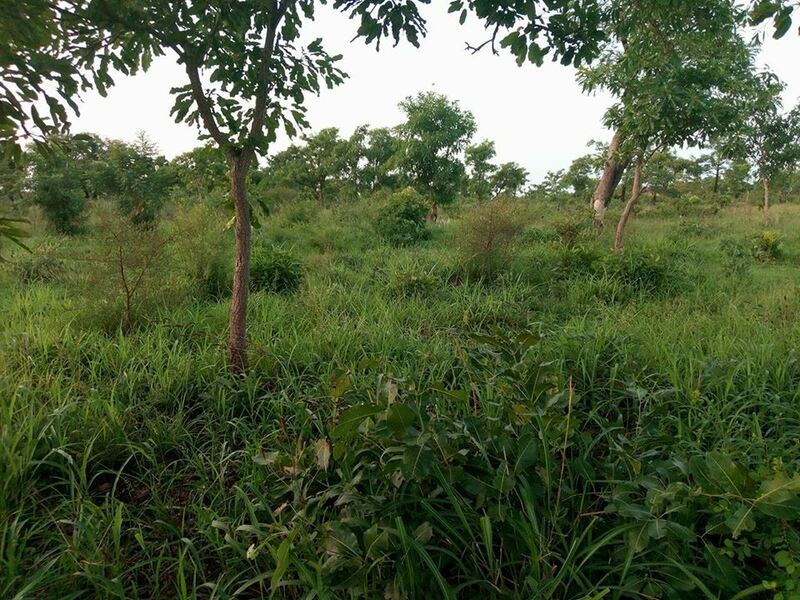 The sector covers about 30% of Ghana’s land mass; unfortunately, it suffers a lack of financial mobility and often violent conflicts over land ownership. Land titles can be done on the Bitcoin blockchain at very minimal costs and without the involvement of centralized institutions. It’s an unprecedented opportunity to free millions of people from poverty in the Savannah Belt of Ghana. Africa Youth Peace Call started this journey in 2015 to eradicate poverty and ensure economic freedom in the increasing impoverish zone of Ghana (Northern Sector comprising of three regions; Northern Region, Upper East Region, and Upper West region) before it was sent hiding by the socialist cronies. Fortunately, Ghana now has a more free-market-oriented government in power opened to ‘all’ ideas of free markets. The Centre for Liberty & Entrepreneurship, a nonprofit research and educational Think Tank devoted to the principles of free markets, individual liberty, secure private property rights, the rule of law, limited government and innovation and entrepreneurship together with BITNATION, the traditional rulers and opinion leaders with the support of Dash & coinpedia is set to host an activist forum this summer dubbed Liberty & Entrepreneurship Camp 2017 on the Theme: Entrepreneurship, Growth & Competitiveness; The Blockchain To The Rescue’ at Bolgatanga, the capital city of Upper East Region – Ghana on the 2nd to 6th August to train participants on how to use the Blockchain Technology to issue land titles in Northern Ghana. BITNATION has tested and issued Land Titles on the Bitcoin Blockchain and together with CLE Ghana shall do the same in Northern Ghana. CLE Ghana will educate the youth, so they can do these Land titles and private property registration in Northern Ghana and Ghana as a whole to free the economy using Blockchain Technology. Throughout the week participants will learn entrepreneurship skills, explore the social and economic benefits of a secure private property regime, coupled with land titles, corporate incorporation, smart contracts and more, and how the Blockchain Technology can deliver that on the cheap. They will be assisted to draw an Action Plan to educate their communities to facilitate their cooperation and smooth implementation of the Land Title Project. Our Blockchain Titles Ambassadors will form a network to educate their communities about the Bitcoin Blockchain Technology, and how to use it. Two days will be set aside as Cryptocurrency/Blockchain Business Opportunities Days. This will enable participants to explore the business side of Cryptocurrency/Blockchain, and how to start their own profitable ventures with it especially emerging Altcoins such as Dash. CLE Ghana has successfully lobbied the chiefs of Northern Ghana who are custodians of the lands to join in this project and have got their support to make this project a success. Mahamadu Abdul Salam – founding president of CLE Ghana. NOTE: Website undergoing maintenance, however you can see some works. 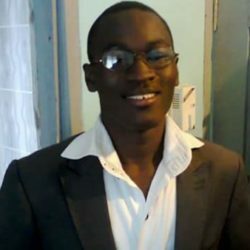 I am a libertarian and the founding president of the Centre for Liberty & Entrepreneurship (CLE Ghana), a nonprofit research and educational Think Tank dedicated to the ideas of free markets, individual liberty, secure private property rights, limited government interference, the rule of law and entrepreneurship. I am 24 years of age and holds a degree in Bsc. Accounting and finance from the University for Development Studies - Ghana.